Galveston may be best known for its beaches, but its thriving culture and historic charm will have you coming back for more. Thanks to its fun and family-friendly annual events, Galveston is a hot and happening place to visit regardless of the time of year. It all starts with Texas’ largest Mardi Gras celebration and continues with food and beer festivals, beach parties, sand castle building contests, and more. Find out more about the annual events in Galveston below and start planning your next trip to this island getaway. Come one come all for the largest Mardi Gras celebration in Texas! Dating all the way back to 1867, this annual event features colorful parades, lavish balls, spectacular concerts and family events. Enjoy all the sounds and sights of Mardi Gras in downtown Galveston at the end of February. Galveston sits in the midst of a major migratory bird path, making it a fantastic place for birding enthusiasts and wildlife watchers to spot thousands of our feathered friends. Whether you’re an experienced birder or you want to check it out, attend a workshop or a field trip that is part of the Galveston Featherfest and Nature Photofest. A schedule of the early April event’s events is available on its website. Thanks to its wealth of high-end restaurants and local breweries, Galveston is a foodie’s delight. Headlined by world-class chefs, the festival includes food and wine tastings, and a 5K run. Beer tastings, a hot rod and classic car show, and a retro swimwear contest called the Bathing Beauties Contest are just a few of the events that make up this tongue-in-cheek nod to the roaring 1920’s. As if that wasn’t enough, the Galveston Island Beach Revue also has live music and a kids’ pie eating contest. During this annual competition, sandcastle building is serious business. More than 60 talented teams carve up the sand on Galveston’s East Beach as they vie for the top prize (the Golden Bucket). Months of planning and preparation go into these astounding creations that are judged by originality, execution, and difficulty. Arrive early to watch the builders work, then stick around for the awards ceremony in the afternoon. On June 19, 1865 on a harbor pier in Galveston, Union General Gordon Granger read the words of the Emancipation Proclamation, an act that freed the last enslaved people in the United States. This momentous occasion is celebrated in Galveston with parades, African-American heritage exhibits, concerts, and reenactments of Granger’s reading of the proclamation. A colorful and patriotic parade down Seawall Boulevard and a spectacular fireworks show over the Gulf of Mexico are all part of the Fourth of July celebration in Galveston. 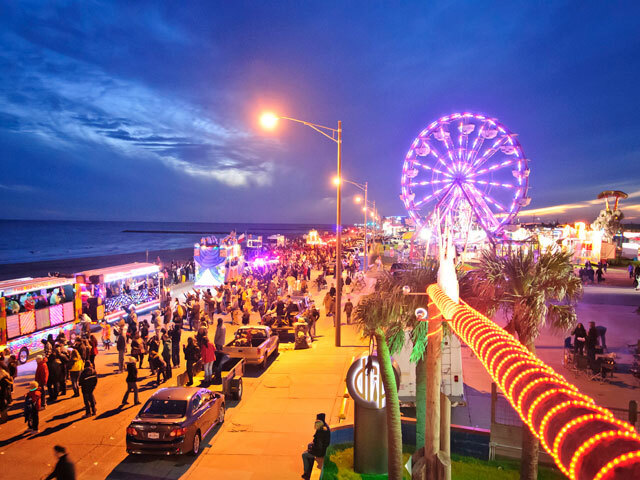 Galveston’s warm sand and inviting waters provide more than enough of a reason to visit in the summer, but the annual Galveston Summer Fest kicks things up a notch. For one day in late July, the island’s beaches are where all the action is at. Watch (or compete) in the beach volleyball or soccer tournaments, admire the creations built for the sandcastle competition, and enjoy all the live music. In its heyday, Galveston was known as “The Ellis Island of the South,” where thousands of immigrants entered the United States for a fresh start in a new land. Their influence is celebrated by the Galveston Heritage Festival, a showcase of all the cultures that helped make Galveston what it is today. The annual event features historical exhibits, demonstrations, and lectures; live music; beer tastings; and various contests. Held on Labor Day Weekend, Galveston’s Brewmasters Craft Beer Festival is a mecca for lovers of all things hoppy. Sample the IPAs, pilsners, ales, and stouts from more than 400 regional and international brewers and the delicious foods from some of top restaurants in the area. Voted No. 5 in USA Today’s 2016 Readers’ Choice Awards for Best Beer Festival in the U.S., this is one event not to be missed. If shrimpin’ is your game, then the Galveston Island Shrimp Festival is for you. Every year, thousands flock to Galveston to taste the gumbo creations of more than 60 cook-off teams (both amateur and professional). Along with the food, you’ll see a parade featuring vibrant floats, bead tossing, marching bands, and a hearty helping of live music. 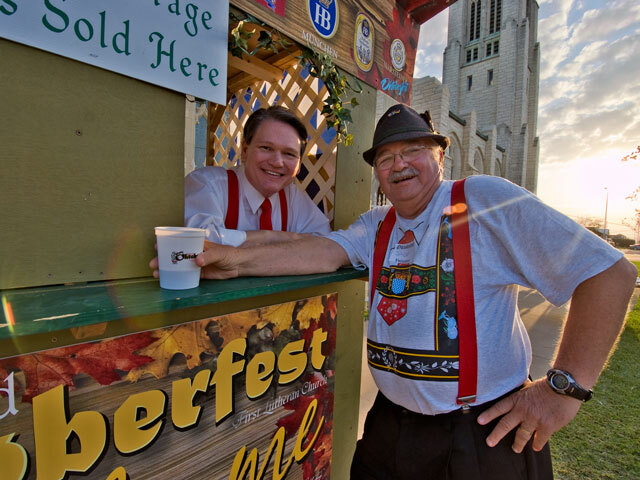 Don your Alpine hat and lederhosen for Galveston Island’s annual Oktoberfest celebration at the First Evangelical Lutheran Church during the fourth weekend in October. Fill your stein with German beer which will go great with a pretzel or plate of knackwurst, bratwurst, and red cabbage. Of course, it wouldn’t be an Oktoberfest without some polka and dancing, both of which Island Oktoberfest serves up in abundance. More than 100 local artists show off their paintings, handmade jewelry, and other masterpieces at The Grand 1894 Opera House in mid-October for this annual event. Admire the works of art between wine tastings, trips to the farmer’s market, and listening to live music. All the delicious beef and lamb gyros, pastitsio, and baklava – not to mention the festive music and dazzling performances – will leave you saying “Opa!” at this long-running annual event. Held at the Assumption of the Virgin Mary Greek Orthodox Church in mid-October, the festival includes educational tours of the church and vendors selling unique souvenirs and gifts imported from Greece. For four days in early November, The Strand is taken over by motorcycles and hot rods (and enthusiasts). Known as the largest event of its kind in the country, the Lone Star Rally consists of endless car and truck shows, a Miss Lone Star Rally competition, a tattoo expo, live music, an organized ride, and more. Every year during the holidays, Galveston is transformed into a Winter Wonder Island as it hosts more than 50 days of Christmas events. These include the famous Dickens on The Strand, Holiday Splash at Schlitterbahn Galveston Island Waterpark, Holiday in the Park, and the Santa Hustle 5K and Half Marathon. Step into one of the coolest places in the Texas Gulf Coast: Ice Land at Moody Gardens. Explore 28,000 square feet of stunning ice sculptures made using two million pounds of ice. Ride the ice slides and stop by the Shivers Ice Bar for an adult-friendly libation. Celebrate the holiday season in style at Moody Gardens for the annual Festival of Lights. Stroll along a one-mile path illuminated by more than one million breathtaking lights within 100 sound-enhanced animated displays. Enjoy the nightly live entertainment, go ice skating, ride the Arctic Slide, and take pictures with Santa. The charm and exuberance of Victorian London comes to life in Galveston’s Historic Downtown District as part of the long-running Dickens on The Strand event. Watch festive parades march by, listen to the strolling carolers and roving musicians, and watch non-stop entertainment on the six stages in The Strand. Costumed vendors selling food, drink, and Victorian-inspired clothing and crafts abound.